Take your love to Prague. 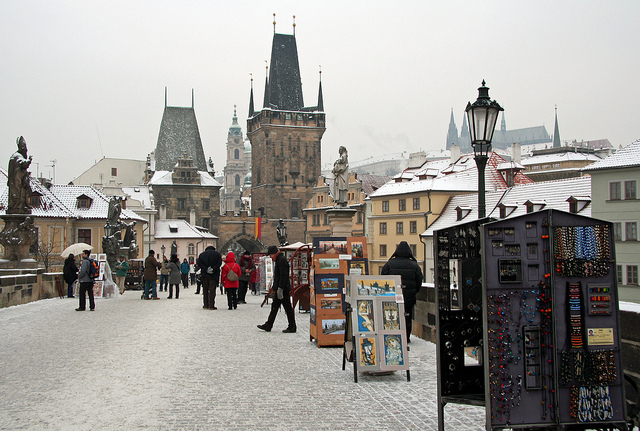 To rekindle the romance, you can do no better than buy your Valentine a ring studded with garnets, amble across Charles Bridge or dine on the top floor of the Dancing House. Walk hand in hand through the alleys and streets in the Old Town, go on a river cruise and watch the sun set behind Prague Castle. Huddle together in a beer garden and taste Pilsner Urquell, Gambrinus or Budweiser.